My love of defense developed while at basketball camp in the summer of sixth grade. Rows and rows of girls lined up in an old gym with high rafters and dramatic echos and yelled, “Defense!” then shuffled from left to right, right to left, did fast feet, shuffled some more, jumped, jumped again, shuffled, fell back to the floor to take the charge, popped back up, fast feet again and then more shuffling for what felt like twelve hours. These leg-burning drills seemed like time I could have spent on my jumper. But as those hours of shuffling paid off in steals, I began to see the joy of the less-celebrated side of the ball. Fast forward to college at the University of Colorado where I first learned about a mark. Without a forehand or a clue about this so-called “stack,” I was grateful to all those tyrannical basketball coaches for instilling me with the fundamentals of defense so at the very least I could make my opponent run - and maybe even get a steal. 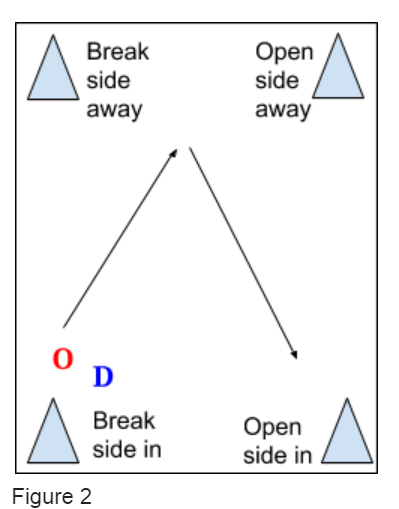 Defensive positioning is dictated by where the disc is on the field and what you as the defender are choosing to take away. 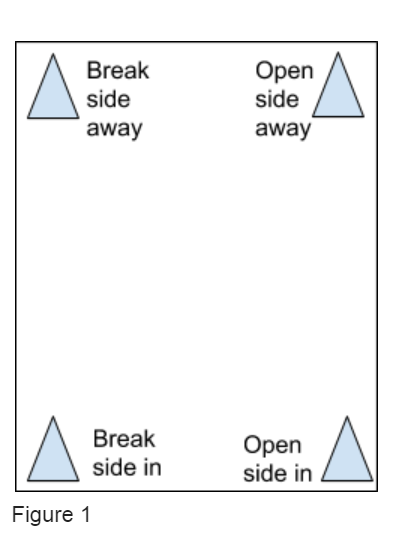 To conceptualize this without a field full of people, one drill we’ll go over is a simple rectangle drill where each corner represents an offensive cutting option (See Figure 1). Start slow so you can practice turning breaking down, turning your hips and maintaining contact. Get 10 reps from each side then switch to away cuts. As you get comfortable with the rep, go to full speed. For another variation, try extending the length of the box. 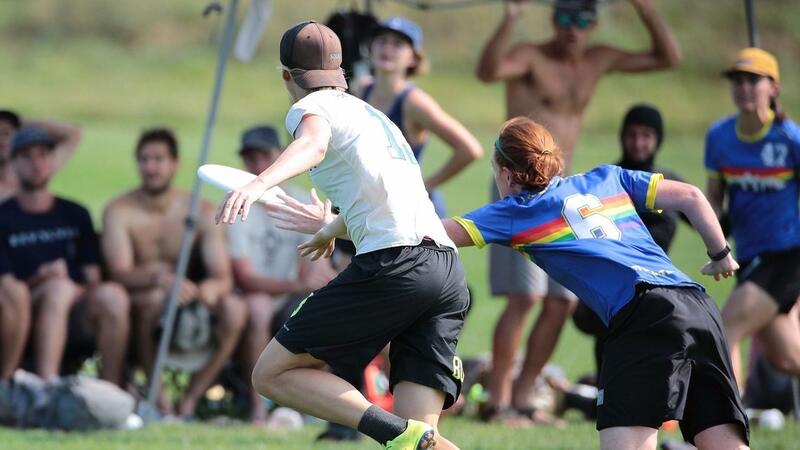 Join us for footwork and more drills! Defensive footwork and positioning has already begun in the Ultimate Skills Project. This week, we've got ladder drills plus instructions on how to build your own ladder for your footwork drills. Join us in the Ultimate Skills Project now for four weeks of instruction from Carolyn Matthews. Each week is designed to be done one your own or with a partner in 1-2 hours per week.